The appointment is with magic; but above all with emotion. 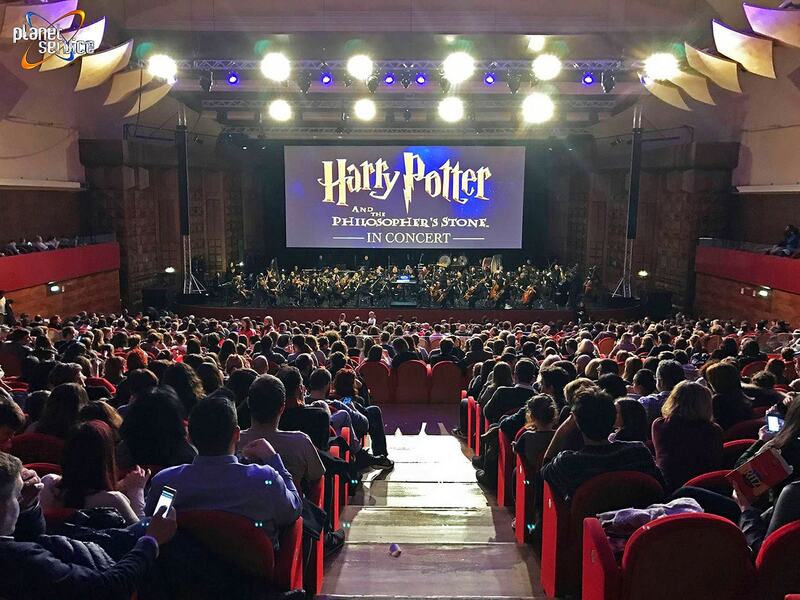 It’s the thrill of seeing a one-of-a-kind version of ‘Harry Potter and the Philosopher’s Stone‘, projected in high definition on a 12-meter screen, while being immersed in the sumptuous original soundtrack played live by the musicians of the Ensemble Orchestra. The Italian tour production of ‘Harry Potter Film Concert Series’ was entrusted to Planet Service, which designed and installed the audio-video-lighting infrastructure. “For the tour – commented Alessandro Giangi and Manuel Gamberini, designers at Planet Service – we have made a continuous use of the DTS projectors, especially CORE and NRG moving heads, which we regularly use in the most demanding projects across Europe. 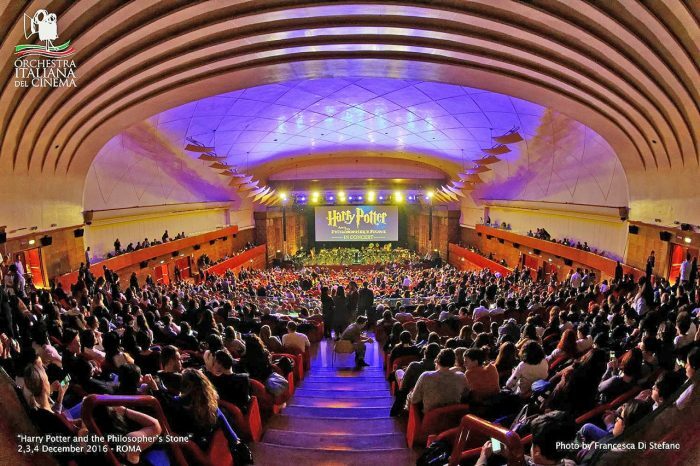 Harry Potter’s cinemas-concerts took place in different locations, from theaters to the arenas, for each of which we had to redesign the light rig. ‘Harry Potter and the Philosopher’s Stone’ is the first chapter of the Harry Potter Film Concert Series, a world tour of concerts produced by CineConcerts and Warner Bros. to celebrate the movie’s most famous magician. Everyone has seen at least one chapter of the Harry Potter saga, but nothing compares to the charm of an 84-piece orchestra playing live that recreates the spell of blending images and music. 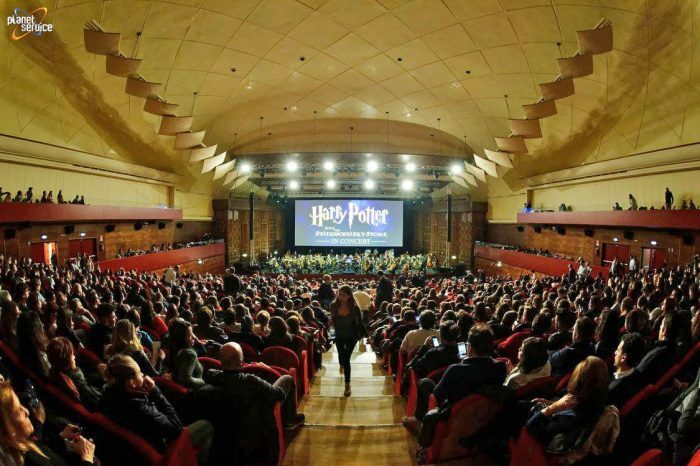 In Italy the ‘Harry Potter Film Concert Series’ tour made stops in prestigious locations such as the Auditorium Conciliazione in Rome, the Arcimboldi Theater in Milan and the Arena Flegrea in Naples.